Some of you maybe aware of Archery Adventures YouTube channel (https://www.youtube.com/channel/UCWB2b15Y_ufba2yTCdNTqZw) which produces archery related video reviews. It’s been going for a few years and built up quite an extensive library of videos. The site is worth looking at as it contains some useful information and advice for archers of all disciplines. I’d just like to say good luck Grizzly Jim hope to see lots more excellent videos. 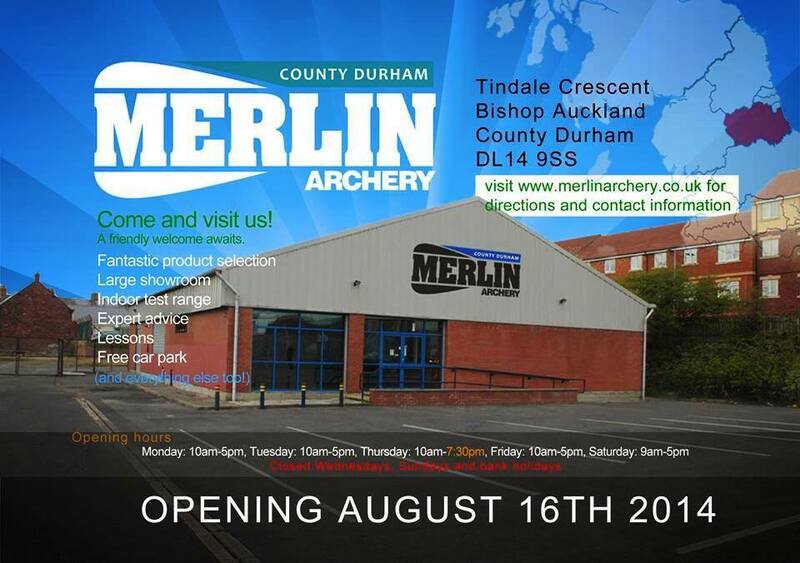 On the note of Merlin Archery, they are opening a new store in August and I’ve pinched this photo off their Facebook site.